Download the INRDeals App and earn cashback even when you're on the move! ! Now more shopping means more savings. Shop and save directly at stores such by clicking merchant link through INRDeals or by generating the Loyality link of the product you wish to buy There is no limit on how much you can earn! 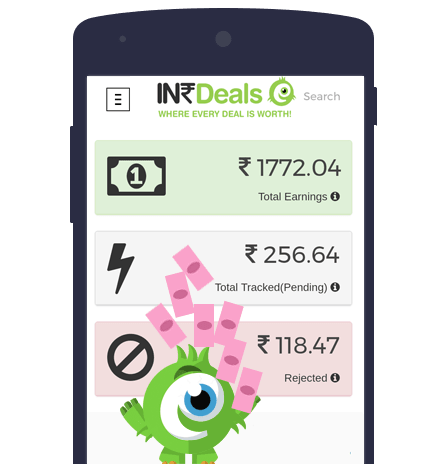 Everytime you shop online using a merchant app like Flipkart, Jabong or Amazon, just share your chosen product with INRDeals app as shown and then shop as you normally do. Your cashback will automatically be added in your INRDeals wallet. No more changing browser tabs to get your cashback, get your cashback straight from any shopping app! 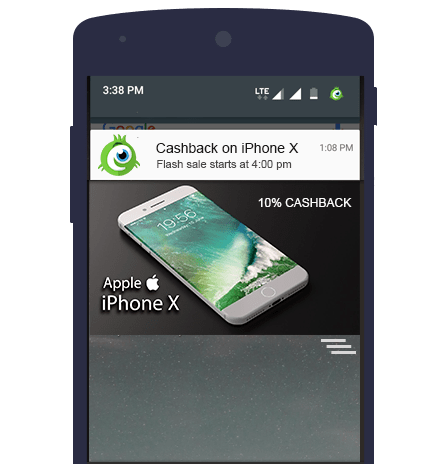 Grab exciting deals and offers created especially for you from over 250+ top stores like Flipkart, Myntra, Jabong, TataCliq, PayTm, MakeMyTrip, Domino’s, HomeShop18, ShopClues, Mobikwik, Koovs, Nykaa, Lenskart and many more. 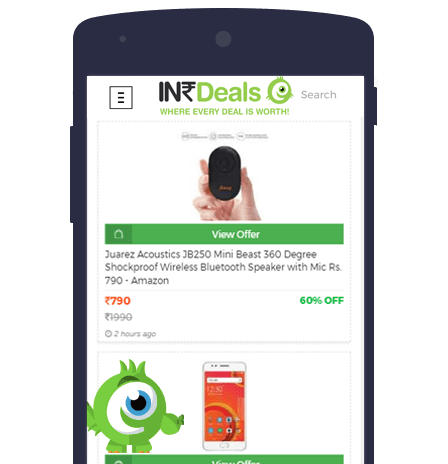 INRDeals Deal Hunters work around the clock to keep a close eye on every offer from top stores and as soon as a worthy deal comes up, the same is flashed for you on the homepage. 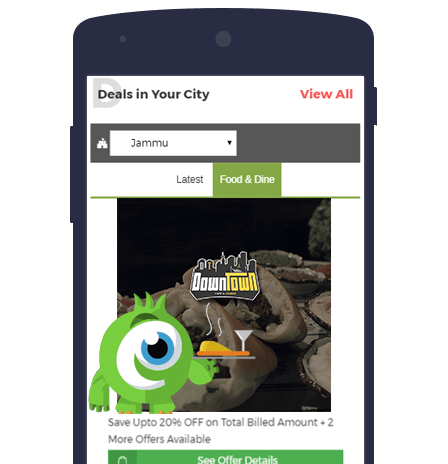 INRDeals helps you save money not only Online but offline too, with exclusive tieups with the local stores, restaurants, salons you get to enjoy awesomeness in the form of deals & offers near you! The best part about this is all the discount coupon are absolutely free and are sent over SMS & can be redeemed for instant discount just by showing the SMS at the store. Enjoy hassle free shopping by saving & accumulating your earned money in INRDeals Wallet in the form of INRCash. You can easily redeem your INRCash as hard cash in your bank account or in your Paytm Wallet or you can use it to buy Online Vouchers & make Mobile Bill Payments/Recharge etc. We don’t want you to miss any big deals, discounts or flash sales! INRDeals app notifies you about the best offers and deals through instant push notifications on your mobile phones. Sharing is caring and now its rewarding too! Don’t keep all the benefits for yourself, share them with your friends and family and earn more rewards because sharing is caring and now it’s rewarding too with INRDeals. 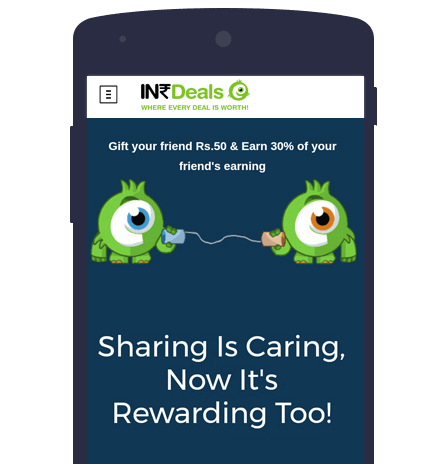 For Every friend you invite & signs up at INRDeals using your unique referral link/code will get ₹ 50 upfront in their INRDeals wallet and will be save on every purchase they make from top shopping sites. Plus INRDeals will reward you 30% of whatever your friend’s saves/earns! INSTALL THE APP AND EARN CASHBACK EVEN WHEN YOU’RE ON THE MOVE! Shop the best deals and offers on over 500 top stores! Signup & open yourself to the world of savings !